In this week’s episode of Warrior of the Week, TickPick is proud to highlight Karen Milliken. We are incredibly grateful for the sacrifice that Karen has made serving in the U.S. Navy, and her volunteer efforts in the community. Although it wasn’t the result we were hoping for, we are glad that Karen and her daughter enjoyed the Boston Red Sox vs. New York Yankees game! Karen: I remember really wanting to serve my country and making a difference, but I was waiting for female companies to form. I earned an associate’s degree at Middlesex Community College in December 1990 in Business Administration while working part-time at the Federal Aviation Administration in the Air Tragic Division. It was then that I enlisted in the U.S. Navy for my aviation experience in October of 1990 and began basic training in Orlando, Florida on March 12th, 1991. Finally, on August 21,1991, I was stationed at the Naval Air Station in Bermuda during the Gulf War. I had two brothers stationed over there; one brother, Adam, was on the U.S.S. Ranger (aircraft carrier) and another brother, Gary, was on the U.S.S. Comforter (hospital carrier). The service taught me how to be a leader, and I learned to believe that I am capable of anything – confidence and a newfound knowledge were also instilled during my time in the military. Finally, the military taught me the importance of integrity, honesty, and loyalty. While there were many positives about joining the military, the worst thing is it did for me was make me jumpy and scared. Despite this, I needed to remain strong for my kids. I am also thankful for the instant bond that is formed upon meeting other veterans. 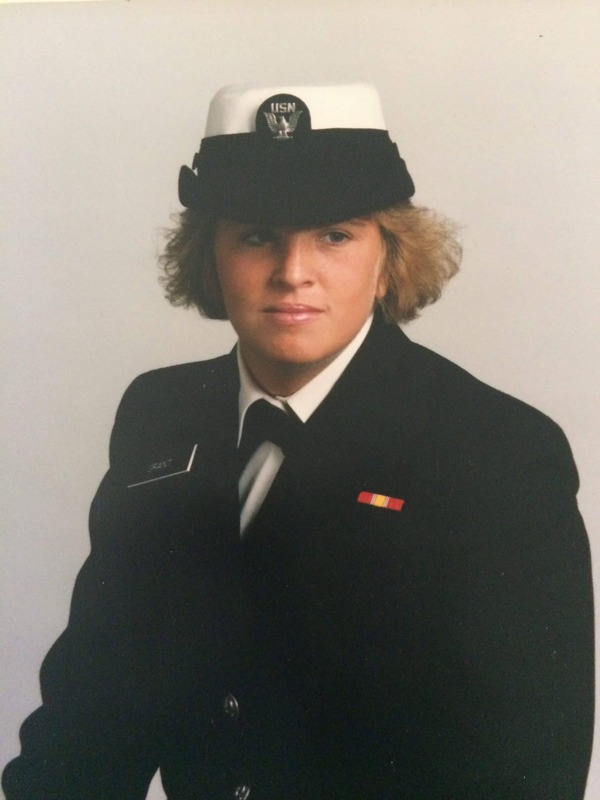 The Navy was very tough at times, but these challenges taught me how strong I really am. The work ethic instilled during my time in the military has carried over in the next chapter of my life. I am very active volunteering in the community and hold the position of Commander of Billerica DAV Auxiliary Unit 47 and Woman Liaison of Billerica Dav Chapter 47 – even though the Navy warns you when you get out to N-ever A-gain V-olunteer Y-ourself . I think Veterans just can’t help it, as it is in our blood to serve. I taught my children from an early age the importance of serving others and they all currently serve in the Billerica Dav Auxiliary – my daughter currently holds one of the officer rolls.